Aaron Cole currently resides and was born in Bristol, VA, a small American town that rests on the border between Tennessee and Virginia. Much like his home town connects two neighboring states, Cole seamlessly bridges the gap between rapping and singing. 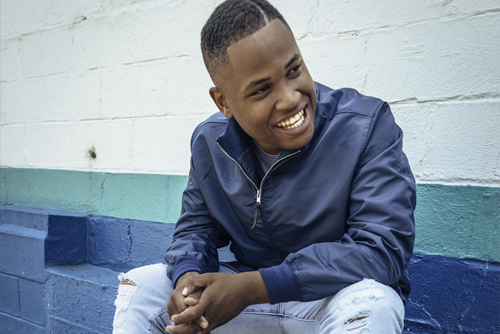 Releasing a total of six independent projects since the age of four, the 17-year-old has shared the stage with rappers KB, Social Club and Tye Tribbett to name a few. His musical influences include the soulful melodies of Stevie Wonder, the versatility of Mali Music and the grooves and lyricism of Jon Bellion. His talents have also been heard on tracks from Hollyn and Da Truth. In 2016 he was inducted into Christian Hip Hop’s top media outlet, Rapizilla’s Freshman Class and noted by Essence Magazine as one of 16 gospel artist to watch. His latest project, a six-track EP titled If I Can Be Honest is set to release November 4, 2016 and features appearances by Derek Minor, Alic Walls (of The Walls Group), & Kaleb Mitchell.